Conor McGregor is worth a fortune and lives a flashy lifestyle - yet barely spends money, according to his long-time coach. McGregor's bank balance has soared since fighting Floyd Mayweather in the boxing ring last year, while he also made a huge wad of cash in his recent UFC loss to Khabib Nurmagomedov. The MMA megastar made $US99 million ($138 million) last financial year, according to Forbes, meaning his personal wealth may now be in excess of $200 million. He recently added a whiskey business, Proper Twelve, to his fight earnings. Yet the glamorous existence that sees McGregor riding around in Rolls Royces and Lamborghinis while wearing designer suits and expensive watches is largely provided by the brands, coach John Kavanagh says. Kavanagh was speaking to the Irish Independent and responded to a query as to whether McGregor was at risk of blowing his fortune like Mike Tyson, who has wound up making money from fan appearances. "That's something you'll never see Conor do. He's as competitive now with his business, his whiskey, as he is with his fighting," Kavanagh said. "It sounds weird but he doesn't actually spend much money; everything he wears he's paid to wear; everything he drives is given to him; he's not into restaurants, his missus makes his meals. He's in a fairly modest home. He doesn't gamble." While McGregor's outrageous antics have smashed UFC revenue records - he owns the top three pay-per-views in the promotion's history, and five of the top six - they have also drawn criticism. Yet Kavanagh said that it was hard to argue with the results, given McGregor had made more money than any other MMA fighter. "I've an Icelandic fighter, Gunnar Nelson, with Conor in the UFC now, and you couldn't get more ying and yang," Kavanagh said. "Gunny won't say two words in an interview. We joke sometimes that his expression has never changed. He's been in the UFC longer than Conor but has nowhere near made his retirement money. I look at them and think: 'This is night and day'. "So if we can agree that the point of professional fighting is to make money, Conor's way of doing it is clearly the best." Kavanagh argued that McGregor had opened the eyes of MMA fighters as to what was possible, in terms of income. "Conor has incredible role model qualities - dedication, self-belief, hard work, intelligence. He's created this industry," Kavanagh said. "No one was making money out of MMA, not real money, not Federer money. He [Federer] could be quiet as a mouse, have zero personality and never give an interview in his life and he'd still be guaranteed tens of millions every year through sponsorships. That's not possible in MMA. You're fighting for fifty grand! And that's before the Vegas taxes hit you." 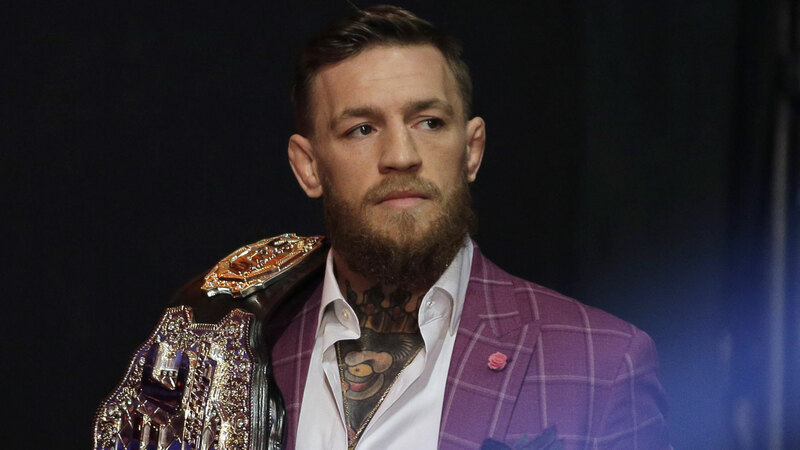 Kavanagh did concede, however, that McGregor was at risk of being remembered as a bad boy rather than a genuine sports megastar; "the guy who throws things" as Roger Federer put it in a recent interview. Whatever happens, the Irishman is laughing all the way to the bank. Per Forbes: "His current partners are Burger King, Beats by Dre, Monster Energy, David August, BSN, Anheuser-Busch, HiSmile and Betsafe. He also has a residency deal with the Wynn Las Vegas for all of his afterparties, and his digital properties, Conor McGregor FAST Program, MacMoji App, MacTalk App and the Mac Life, also generate cash."